Replacing the CDJ-800MK2, the CDJ-850 offers some major enhancements over its predecessor. This deck is designed to feel and function like a CDJ-900 or CDJ-2000 and is rekordbox enabled, while maintaining an affordable price. No matter what source – CD, USB (flash drive or disk) or straight from PC or Mac* – this deck is suitable for your way of working. MP3, AAC, AIFF and WAV (up to professional 24-bit WAV) files are supported. It’s also rekordbox compatible, meaning that using the free rekordbox software, you can beforehand prepare and manage your tracks on your PC for an extra smooth DJ set. But you can also easily create your set on the fly. With the Tag List feature, you can plan 20 or even more tracks ahead. 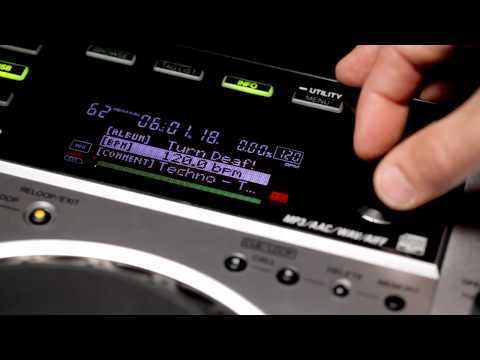 Unique to the CDJ-850, you can even add, remove and change the order of the tracks in the list. Wave Display allows you to see peaks and drops in your tracks, helping you make fluent mixes between tracks.